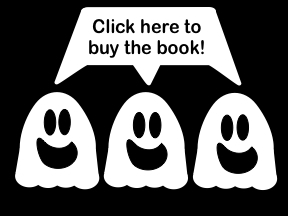 Three Ghost Friends learned about colors after they ate fruit in book #1. 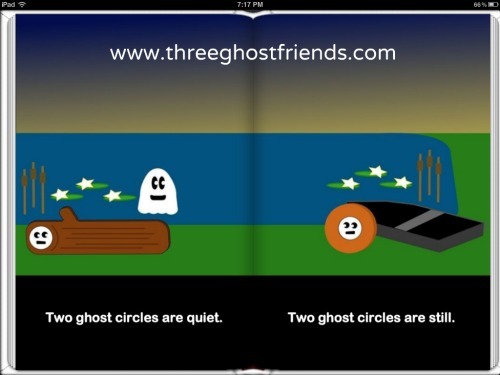 Three Ghost Friends learned about opposites when they played inside and outside in book #2. In their next adventure, the Three Ghost Friends learn about shapes while they play hide and seek at a campground. This e-book (and the other books in the series) is designed for children 2-6 years of age. The simple patterned text allows a young child to feel confident as they read. The illustrations provide opportunities for a young child to successfully predict the next event in the story. 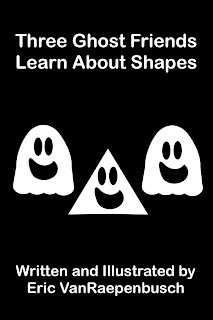 Three Ghost Friends: Learn About Shapes is an e-book that parents will enjoy reading with their young children. And of course, there will be lots of activity ideas to do outside of reading the book together! The ghosts form shapes when hiding in and behind things at the campground. 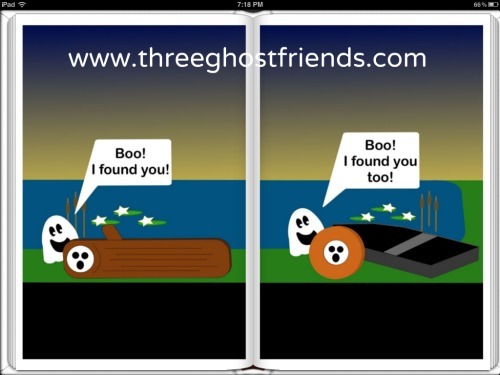 Kids love saying, "Boo! I found you!" 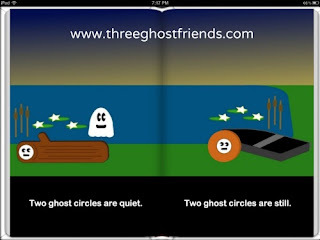 Three Ghost Friends: Learn About Shapes is available at the Apple iBookstore for iPad, iPhone, and iPod Touch for only 99 cents. Congrats on the release,very cool! 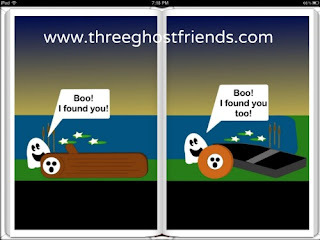 I appreciate that stopped by to check out the Three Ghost Friends!